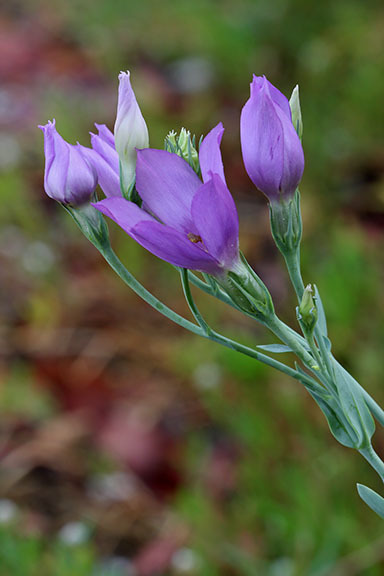 A frequent wildflower of coastal marshes and dunes in the central and southern Florida peninsula, plus Escambia County. The range extends through the southern tier of states into California, and up through the western prairie states from Texas to Montana. Also found in the West Indies, Mexico and South America. 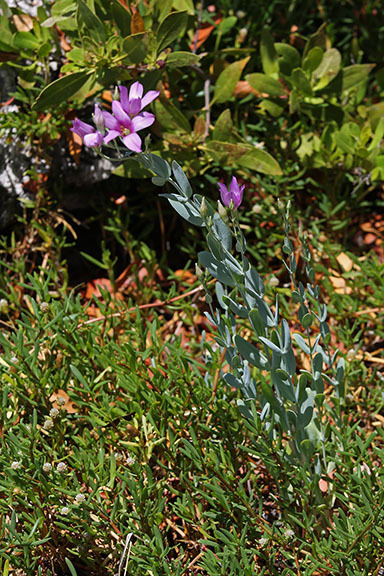 Eustoma exaltatum is a herbaceous annual growing to 1 m (~3 ft.) tall. 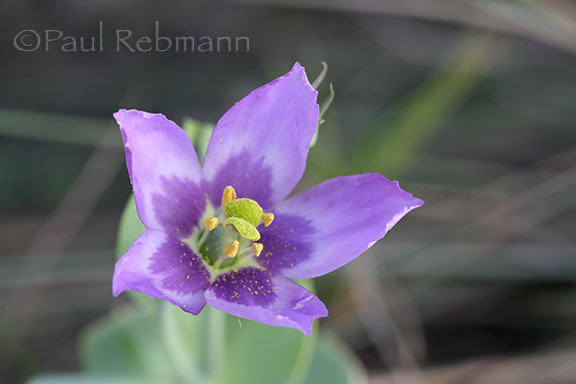 The elliptic, entire leaves are opposite and clasp the stem. Leaves are gray-green and range from 2 cm to 6.4 cm (3/4 to 2-1/2 in.) long and half as wide. Flowers are somewhat tulip shaped, deep purple in the center, with the outer part of the petals being either rose-purple or white. This species is differentiated from the other members of this family by having leaves that are not scalelike and are longer than 5mm (0.2 in. ), corolla lobes longer than the tube, and stigmas that are shorter than the style. 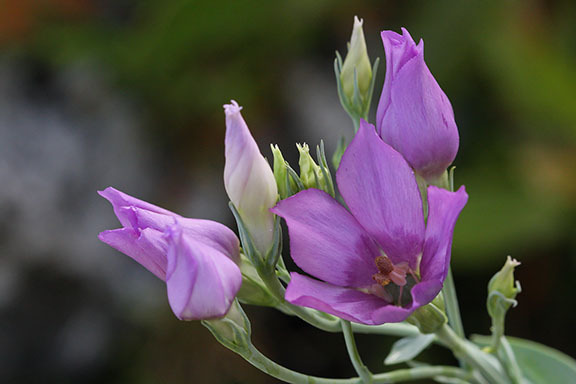 Eustoma exaltatum is a member of the Gentianaceae - Gentian family.